Click here for more information about our current message series. Our Sunday worship service starts at 10 a.m. Our goal each Sunday is to lead you into a life-changing experience with the living God through His Word, the Bible. We focus our attention on the greatness of God by singing songs that describe God's character, personality, love, and grace to us as revealed in the Bible. Our worship music is contemporary and led by a great worship band. Our Senior Pastor is Brian Jones and he's usually the one speaking on Sunday morning. Brian has been here at Calvary since 2006 and became Senior Pastor in 2010. Click here for more information about Pastor Brian and our leadership team. During our Sunday worship service, we offer a clean, well-staffed nursery for infants and toddlers. Infants and toddlers are kept in the same room, but in separate areas with separate workers for their safety. Your child will be cared for in a safe, fun place while you are free to worship and learn with us. You may bring your child to the nursery before the service and pick him or her up when the service is over. We will also provide you with a pager so that you can be reached if your child has a special need during the worship service. We offer a service for children from age 3 to 5th grade where they can hear God's word on a level they will understand. Children start in the main worship service with their parents and are dismissed from the platform to children’s church. Children in preschool through second grade are taken by their parents to room 131 (preschool) or 135 (K-2nd grade). Parents will be given a wristband and then return to the worship service. The wristband will identify you with your child when you come to pick up the child after the worship service ends. Children in 3rd through 5th grades line up in the hallway outside the worship service. Our children’s church leaders will take them to their room. Calvary Classes at 9 a.m.
Want to go deeper in God's word and explore the Christian faith more thoroughly? 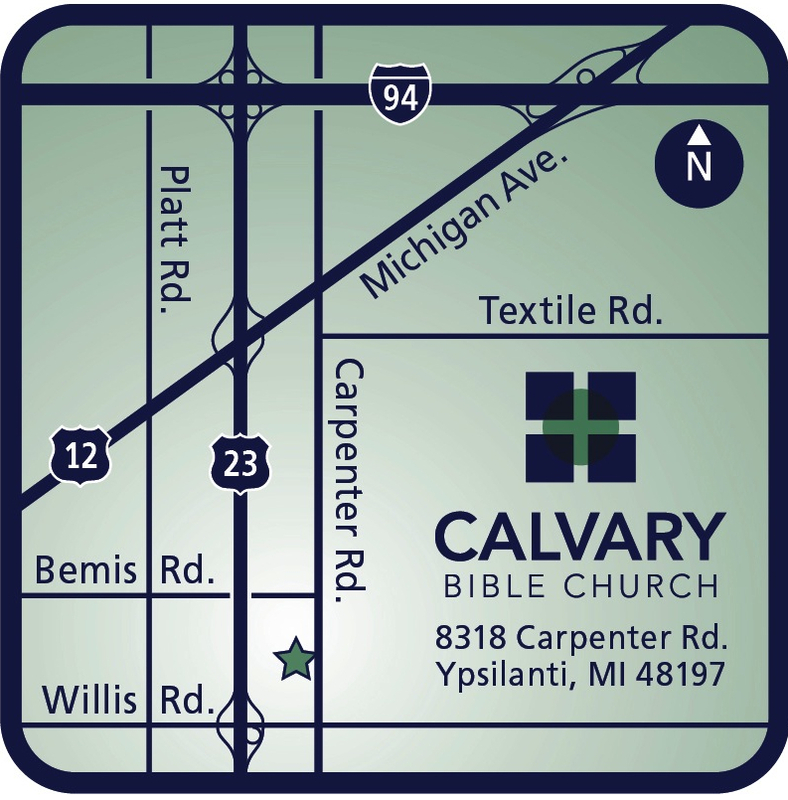 Come an hour before the worship service on Sunday to explore Calvary Classes. Click here for more information.